All this cool weather means fall is officially here, and we are just about a month away from Halloween! I like to create a few not so spooky decorations for Halloween, last year I made some awesome knock off candles that I will be displaying next month. 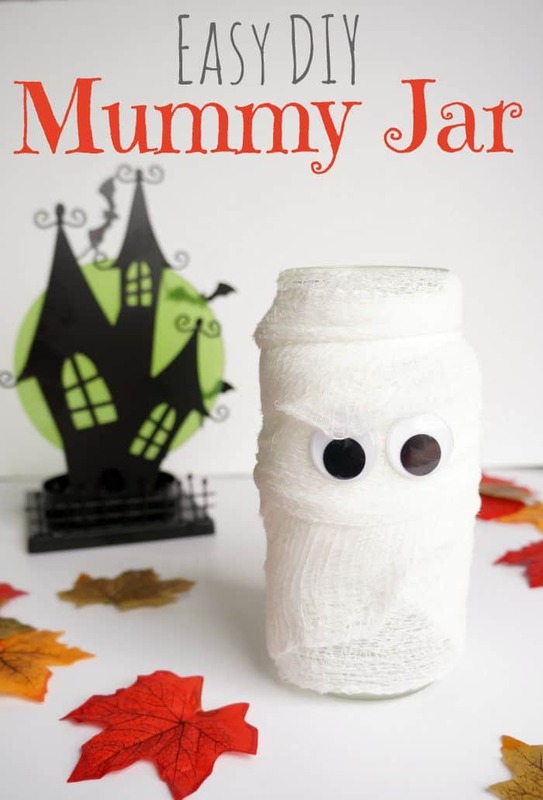 This year, in addition to this simple and spooky display, I made an easy DIY Halloween mummy jar. 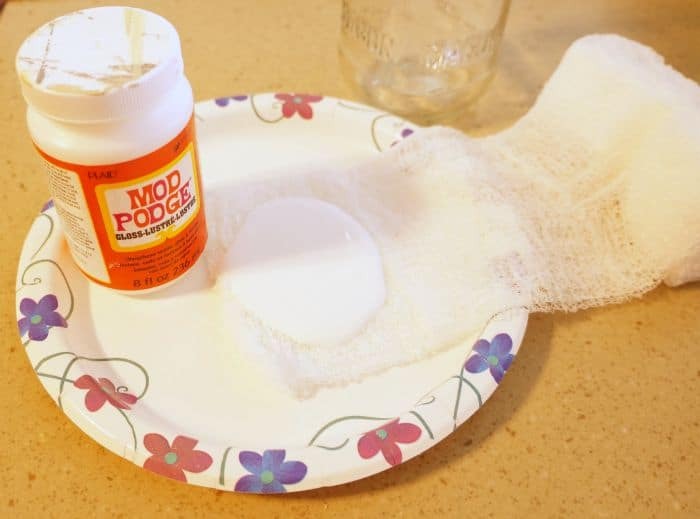 This is seriously easy, you can make one right now if you have the supplies on hand. To make this I used a sauce jar (I keep all the jars!) and some gauze. 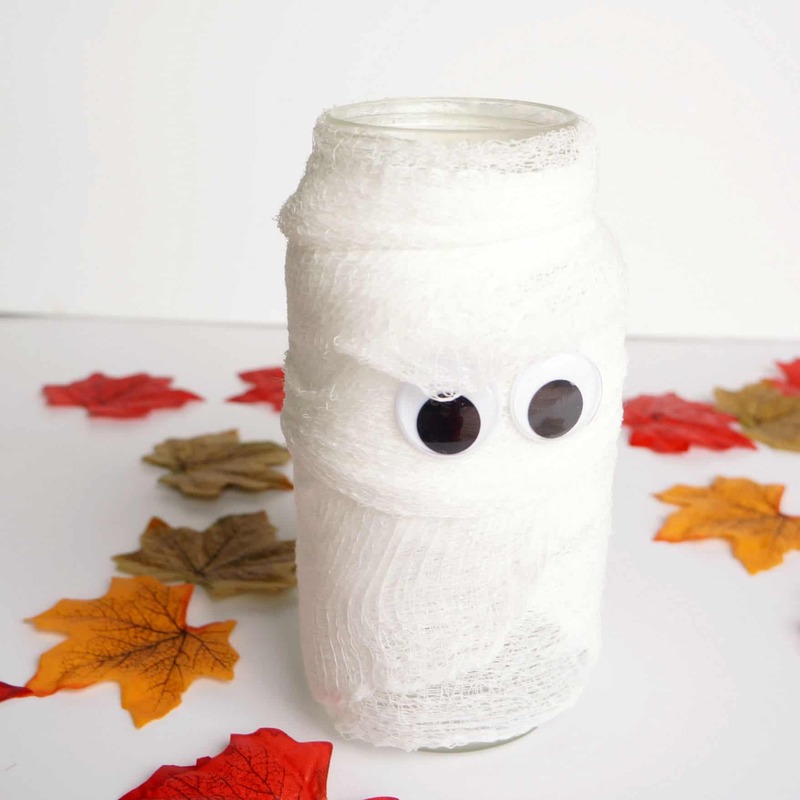 To give my old jar a not so spooky Halloween look I started by coating my gauze in Mod Podge. 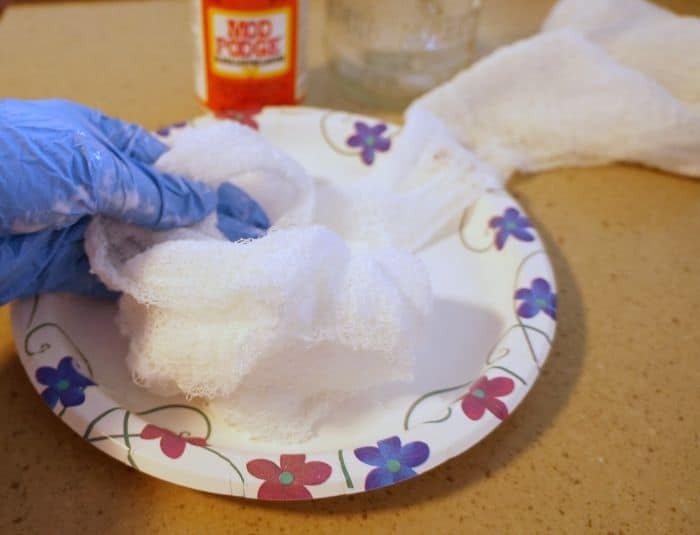 I poured some on top of the gauze, on a paper plate, and worked it in with my gloved hand. Once it was nice and sticky I wrapped my jar. I added a little extra Mod Podge at the end to help finish it off. I flipped it upsidedown to dry a bit before gluing on 2 googly eyes. I took this in our laundry room and lit a candle inside. Little Lady informed me that this is in fact a very spooky jar and I should blow out the candle immediately. Well I guess this year’s decor hit the spooky mark! I’ll keep the candle out until Halloween night, how fun will this look in my foyer where all the trick or treaters can see it. 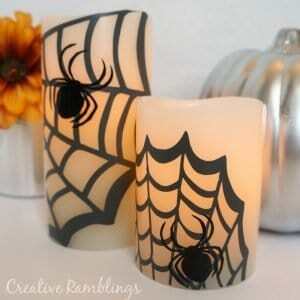 How do you decorate for Halloween? Do you have a favorite decoration? 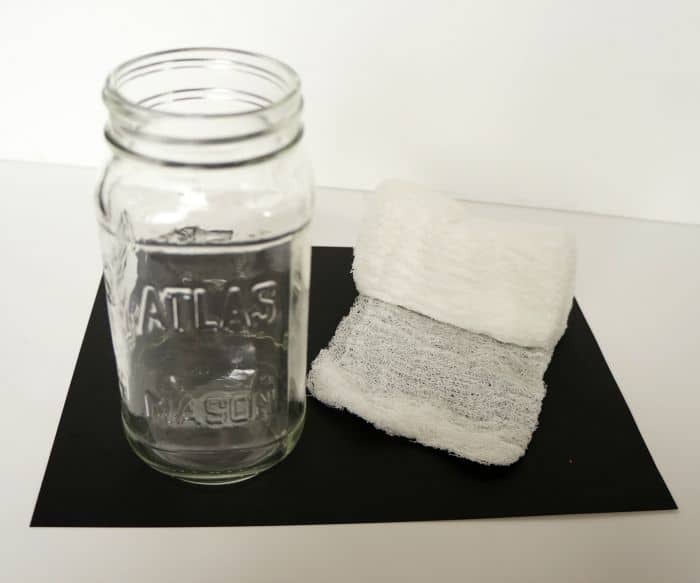 Do you love jar gifts as much as I do? 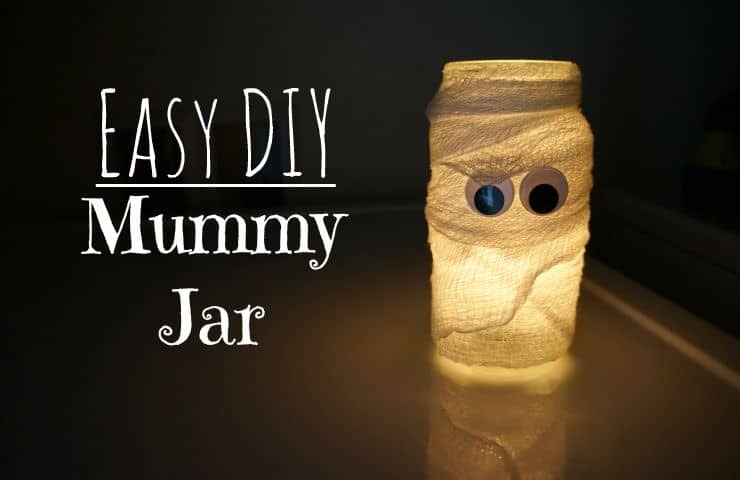 Download you FREE guide to creating the perfect jar gift every time. Sign up here and get crafting today.